Please note that the store will be closed until April 28. This page of the Crew Patches site is dedicated to offering for sale a number of high quality, limited run embroidered patches that I've produced for dedicated space patch collectors. I've chosen to create these particular patches primarily because I wanted an example for my own collection, but either the originals are so rare as to be almost impossible to find, or they were never actually produced in embroidered form at the time. Most of these high quality patches have been manufactured on my behalf by AB Emblem, NASA's official patch supplier. I have attempted to replicate a vintage look with all these designs but please note that all my replica patches are produced with plastic backings. This is principally so that they can never be mistaken in the future for vintage originals. None of these patches will be available via regular retail outlets, or from AB Emblem directly. If you want to purchase one or more of these patches please use the PayPal buttons provided below. For other space patches don't forget to check out my eBay listings. 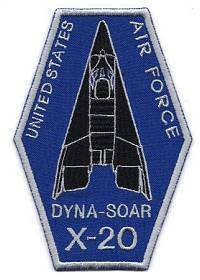 This is my tribute to the X-20 Dyna-Soar project - an attempt to imagine what an emboidered project patch might have looked like if one had been produced at the time. 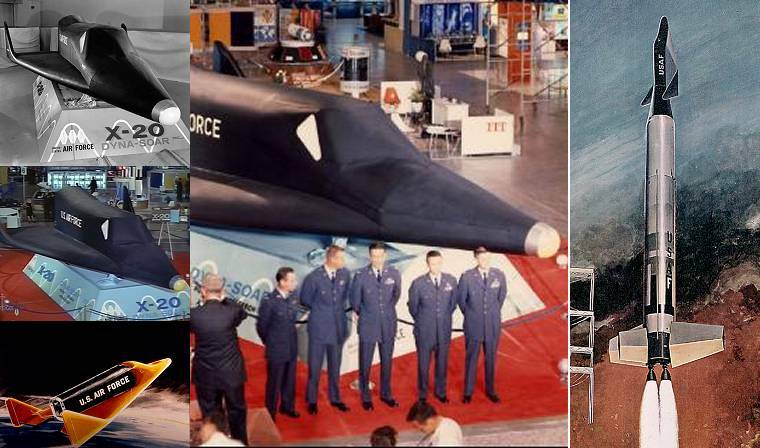 The design is inspired by some of the artwork used during the roll-out of the X-20 project in September 1962 in Las Vegas. Each patch is accompanied by a metallic decal of the same design. This 4¼" (108mm) tall patch is partially-embroidered on blue twill. 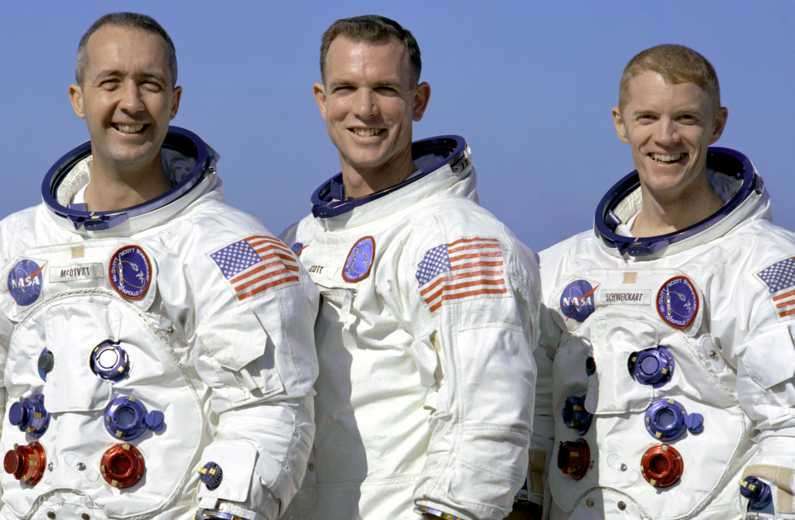 This 3¼" (85mm) patch is a replica of the Apollo 9 crew patch worn by the crew for their white spacesuit portrait photo session before the mission and on the blue jumpsuits they wore during and after the recovery. 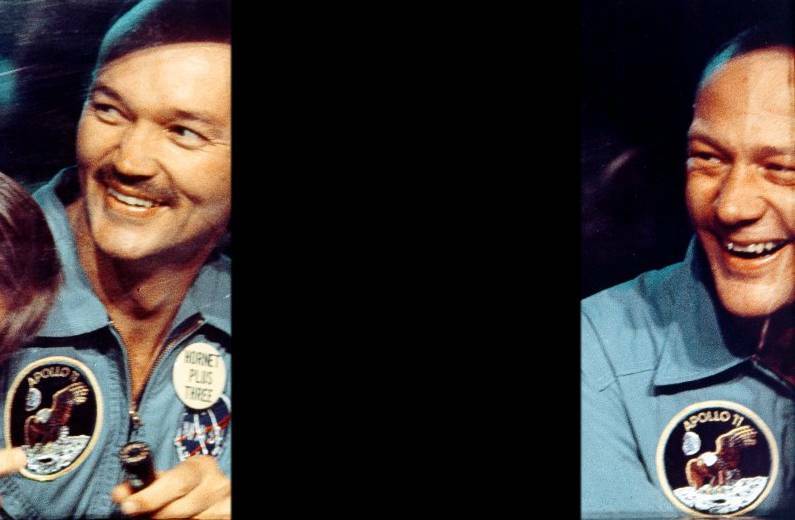 The original patches were produced in very small numbers exclusively for NASA and were never available commercially. Examples sell today for around $150 minimum. This replica has been manufactured on my behalf by AB Emblem, NASA's official patch supplier. 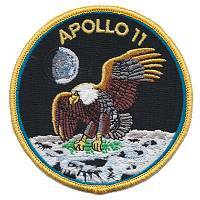 This 4" (99mm) patch is a replica of the iconic Apollo 11 crew patch worn by the crew immediately after the historic mission. 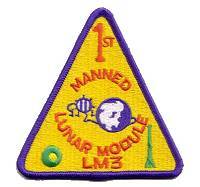 The original patches were produced in very small numbers exclusively for NASA and were never available commercially. Examples sell today for around $400 minimum. This replica was extremely challenging to produce due to the fine detailing and subtle coloration of the original patch. The replica uses an exceptional 13 different colors of thread (versus a maximum of 8 different colors used in the majority of patches). It was not possible to find exact matches in modern threads for all the colors used for the original but the end result is as close as I could get. 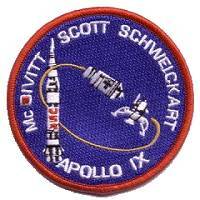 This replica has been manufactured in the United States on my behalf by AB Emblem, NASA's official patch supplier. The blue background version of the Gemini project patch is the rarest and most highly sought-after of the vintage versions, with original examples fetching upwards of $600 at auction. 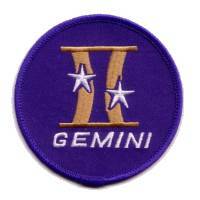 Given the extreme rarity of the original patches I decided it would be interesting to create a replica that could fill a gap in people's collections and which could also be used in Gemini-related display pieces. The 3" (75mm) diameter patch is partially embroidered on rich blue twill as per the original. 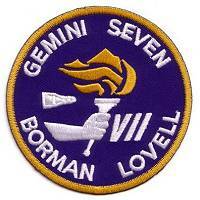 In the case of Gemini 7, given the extreme rarity and elegant design of the Crew Souvenir Patch patch I decided that it would be interesting to produce a replica. The 3¾" (96mm) diameter patch is partially embroidered on rich blue twill as per the original. 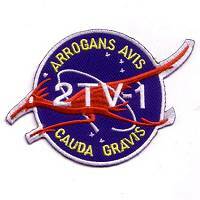 The original 2TV-1 patches are extremely rare and the few examples to come to market in the last few years have sold for hundreds of dollars a piece. Although several replicas have been produced over the years they have all differed signficantly from the original patch design. The patch shown on the right, partially embroidered on blue twill with a 3" (75mm) center as per the original, represents what I believe to be the most accurate replica of the original 2TV-1 patch design produced to-date. 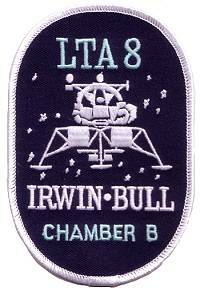 The original LTA-8 patches are so rare that I'm only aware of one example of the patch having been sold to-date. The replica below is based on that patch. 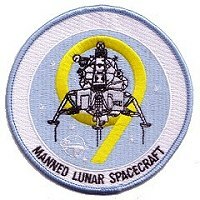 Although several replicas of this patch have been produced over the years they have all differed signficantly from the original patch design,particularly in terms of coloration and in the arrangement of stars. The 3¼ x 4&frac78;" (82 x 124mm) patch shown on the right, partially embroidered on dark blue twill as per the original, represents what I believe to be the most accurate replica of the original LTA-8 patch design produced to-date. 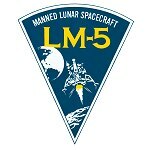 The original LM-1 / APOLLO-5 patches were apparently produced by Grumman employees based at the KSC at the time of the first Lunar Module test flight. 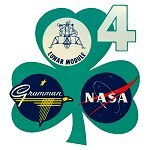 This patch is not part of the Grumman LM patch replica set detailed below since this design was produced as an embroidered patch whilst the others only existed as artwork and decals produced at Grumman's Bethpage plant. Although a replica of this patch was produced some years ago it was not particularly accurate, and in any case is not easy to find today. The original artwork is not easy to reproduce but the 4&frac18;" (104mm) fully-embroidered patch shown above represents what I believe to be the most accurate replica of the original patch design produced to-date. 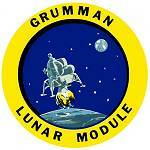 The LM-3 patch commemorates the first manned flight of Grumman's Lunar Module during the Apollo 9 mission. 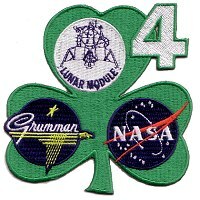 Original examples of this patch, which may have been produced by Grumman employees based at the KSC, are extremely rare, with the last example to be sold fetching over $700. 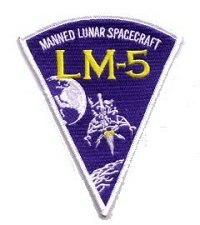 This patch is not part of the Grumman LM patch replica set detailed below since this design was produced as an embroidered patch whilst the others only existed as artwork and decals produced at the Bethpage plant. The 3&frac13; x 3½" (85 x 87mm) fully-embroidered patch shown above represents what I believe to be the most accurate replica of the original patch design produced to-date. 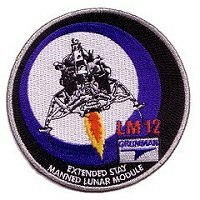 This 4" (101mm) patch is based on a vintage design produced by Grumman at the time of the Apollo program in decal form. This fully embroidered patch has been manufactured on my behalf by AB Emblem, NASA's official patch supplier. 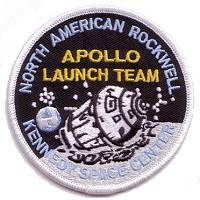 The original Apollo Launch Team patches were likely produced by North American Rockwell employees based at the KSC at the time of the first manned flights and are extremely rare and sought-after today. This 3½" (88mm) patch is partially-embroidered on black twill, as per the original. It has been manufactured on my behalf by AB Emblem, NASA's official patch supplier. 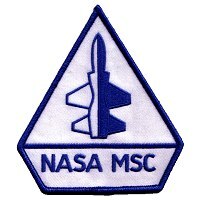 The original NASA MSC T-38 patches were produced in small numbers for the astronauts and service crews who flew the T-38s based at the Manned Spacecraft Center. This 4½ x 4¾" (110x122mm) patch is partially-embroidered on white twill, as per the original. It has been manufactured on my behalf by AB Emblem, NASA's official patch supplier. Please note that this patch was produced as a limited edition run of just 99 examples. No more will be produced once these are sold. 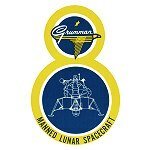 Between 1969 and 1972, Grumman produced a series of insignias for their Lunar Modules which were distributed in limited quantities to their employees in the form of decals and prints. Sadly these wonderful period designs were never produced as embroidered patches. I've set out to rectify this by producing runs of these 'lost' patches, with my intent being to stick as closely as possible to the period style of the original decal artwork rather than to try to update the designs with more colors, fill, or flashy detail. The patches are designed to have a vintage look, using partially-embroidered designs on twill backing cloth in some cases, and using vintage-style stitching patterns for the backgrounds on the fully-embroidered designs. 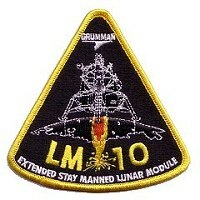 This is the full set of 9 Grumman LM embroidered patches based on the decals for spacecraft LM4 through to LM12. These high quality patches measure on average 4" (102mm) across, and have been manufactured by AB Emblem, NASA's official patch supplier. 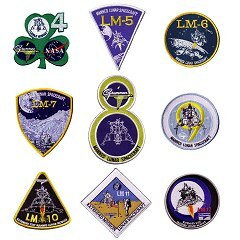 The option below allows you to buy a complete set of 8 patches (the LM-9 patch is sold out) in one go at a reduced price. If you wish to buy patches individually please scroll further down the page to the individual listings. 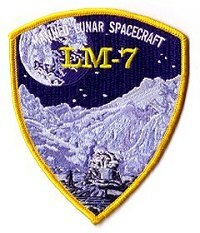 Please note that this set of 8 patches does not include the LM-1 or LM-3 replica patches detailed above, since those embroidered designs were never part of the sets of decals produced at Grumman's Bethpage plant by the teams working on the Lunar Modules. 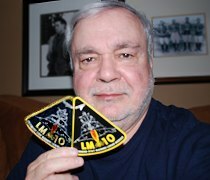 Pictured left is Ray Eschert, who came up with the design of the original LM-10 insignia back in 1969 whilst working as the LM-10 Space Craft Assembly & Test Team Administrator at Grumman's Bethpage, Long Island, NY site. 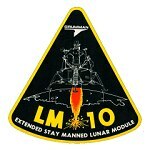 LM-4, the Apollo 10 Lunar Module "Snoopy", was flown by astronauts Tom Stafford and Gene Cernan to within 9 miles of the lunar surface in May 1969. This fully embroidered patch is my version of the original Grumman LM-4 decal design shown on the left. This high quality 4" (102mm) patch has been manufactured by AB Emblem, NASA's official patch supplier. LM-5, the Apollo 11 Lunar Module "Eagle", was flown by astronauts Neil Armstrong and Buzz Aldrin to of the lunar surface on July 20, 1969. This fully embroidered patch is my version of the original Grumman LM-5 decal design shown on the left. This high quality 4 x 4 5/8" (102 x 119mm) patch has been manufactured by AB Emblem, NASA's official patch supplier. LM-6, the Apollo 12 Lunar Module "Intrepid", was flown by astronauts Pete Conrad and Alan Bean to the lunar surface on November 19, 1969. This fully embroidered patch is my version of the original Grumman LM-6 decal design shown on the left. 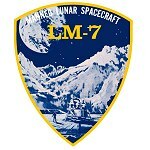 LM-7, the Apollo 13 Lunar Module "Aquarius", was designed to be flown by astronauts Jim Lovell and Fred Haise to the lunar surface in April 1970. Instead the spacecraft ended up saving the lives of the crew, keeping them alive after an explosion in the Service Module. 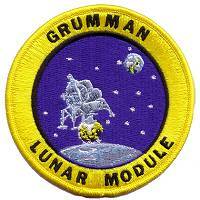 This fully embroidered patch is my version of the original Grumman LM-7 decal design shown on the left. This high quality 4 x 4 7/8" (104 x 124mm) patch has been manufactured by AB Emblem, NASA's official patch supplier. 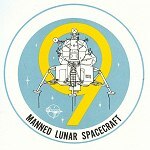 LM-8, the Apollo 14 Lunar Module "Antares", was flown by astronauts Alan Shepard and Ed Mitchell to the lunar surface on February 5, 1971. 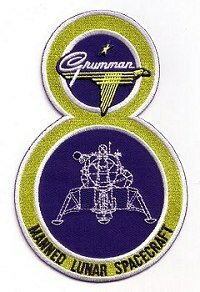 This partially embroidered patch is my version of the original Grumman LM-8 decal design shown above. This high quality 4 x 6¼" (102 x 159mm) patch has been manufactured by AB Emblem, NASA's official patch supplier. 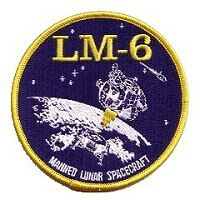 LM-9 was intended to be used for Apollo 15 for the last of the H-class missions. 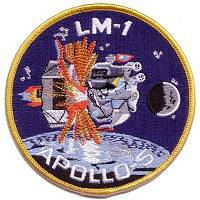 When Apollo 15 was re-designated as a J-class mission around 10 months before launch LM-9 was no longer needed. The spacecraft is now on display at the Kennedy Space Center. This fully embroidered patch is my version of the original Grumman LM-9 decal design shown on the left. 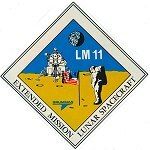 LM-10, the Apollo 15 Extended Stay Lunar Module "Falcon", was flown by astronauts Dave Scott and Jim Irwin to the lunar surface on July 30, 1971. This fully embroidered patch is my version of the original Grumman LM-10 decal design shown on the left. 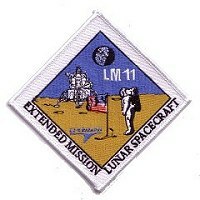 This high quality 4 x 4" (104 x 102mm) patch has been manufactured by AB Emblem, NASA's official patch supplier. LM-11, the Apollo 16 Lunar Module "Orion", was flown by astronauts John Young and Charlie Duke to the lunar surface on April 21, 1972. This fully embroidered patch is my version of the original Grumman LM-11 decal design shown on the left. This high quality 3½" (89mm) square patch has been manufactured by AB Emblem, NASA's official patch supplier. 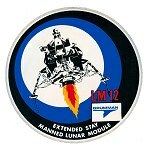 LM-12, the Apollo 17 Lunar Module "Challenger", was flown by astronauts Gene Cernan and Harrison Schmitt to the lunar surface on December 11, 1972. This fully embroidered patch is my version of the original Grumman LM-12 decal design shown on the left. This high quality 4" (100mm) patch has been manufactured by AB Emblem, NASA's official patch supplier.